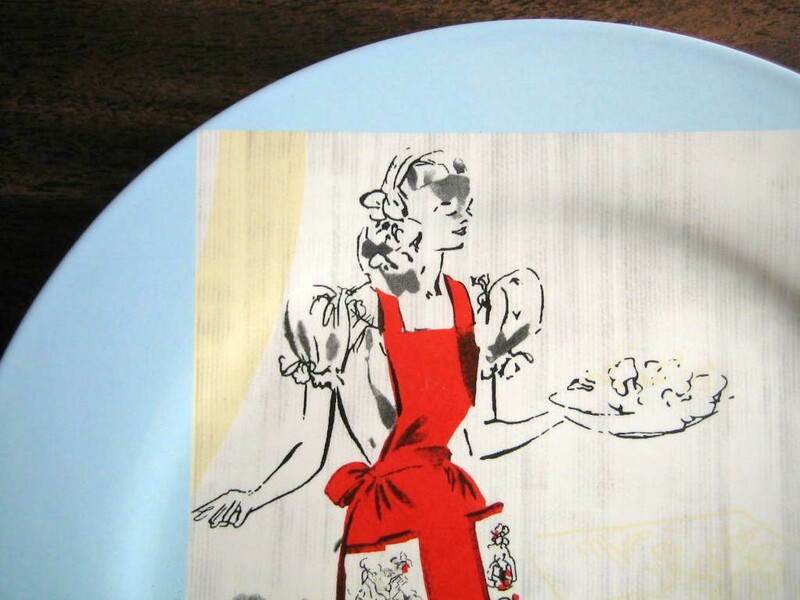 Click the button below to add the Retro Luncheon Hostess Apron Blue Retired Rosanna Plate to your wish list. Vintage Rosanna retro hostess "Mad Men" themed decorative plate. 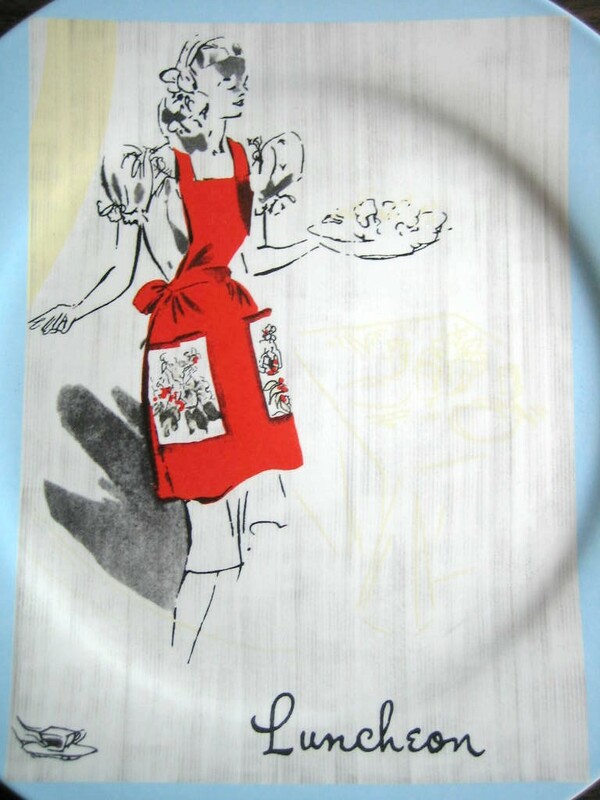 Stylized retro luncheon hostess with red apron on blue plate.